Today, the Baltimore Ravens made a huge splash in free agency, by signing the highly coveted free agent wide receiver Jeremy Maclin. The Baltimore Ravens’ front office and the free agent receiver have reportedly agreed to a two-year deal, with terms currently unknown. We will update this post when that information is made available to us. 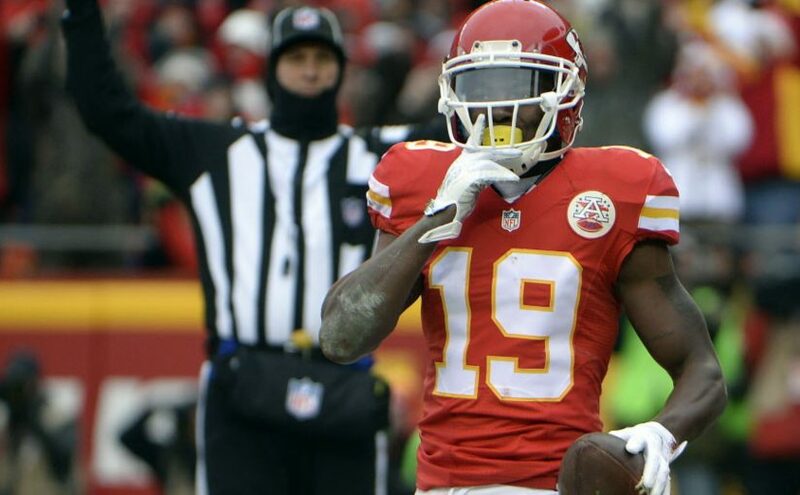 Maclin was released on Friday, June 2 by the Kansas City Chiefs, after only two seasons with the team that he previously had agreed to a 5 year $55 million deal. In 2015, his first year under contract with Kansas City, Maclin totaled for just over 1,000 yards receiving. However, in the 2016 season, Maclin was unable to stay 100% healthy, and his numbers dropped as a result of it. The Chiefs lost confidence in him and released him, in order to expand their salary cap room. As soon as Maclin was released, two top contenders emerged as possible landing spots for Maclin, the Buffalo Bills, and the Baltimore Ravens. The Bills fought hard to recruit Maclin, using former teammate and friend LeSean McCoy as their main lure. The Bills also had much more salary cap space to work with, meaning Maclin could have gotten a solid payout from the team. However, the Ravens were persistent in their pursuit of the receiver. Baltimore was in desperate need of another talented wide receiver on the roster. The Ravens were unable to draft any top receivers in this year’s NFL Draft and did not land any big name free agent receivers up until this point. Baltimore also lost the tight end, Dennis Pitta, as he sustained his third hip dislocation in four years. The Ravens went on to release the fan-favorite tight end, who was a major factor in the passing attack last season. For an offense in dire need of an overhaul from last season, this addition to the team should be a major relief to the coaching staff and front office. Maclin now joins Mike Wallace leading the Ravens receiver corps, and the beat up offense of last season now looks to be much improved. Maclin will fly into Baltimore on Tuesday, to sign his contract, and participate in mandatory minicamp for the Ravens. Maclin also passed his physical for the Ravens already.